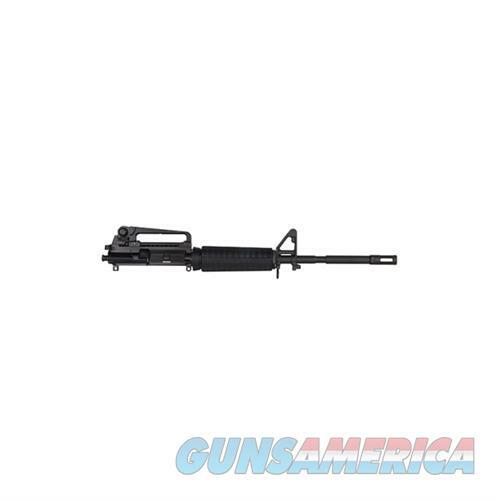 Bushmaster M4 Upper Receiver Kit, ready to complete your build. Kit includes fully assembled upper receiver, bolt carrier group, handguards, charging handle and detachable carry handle. Upper features a 16 M4 barrel which is machined from 4140 chrome moly steel, chrome lined, has a 1-9 twist, has a front sight base installed on a .750 barrel shoulder, -28 muzzle threads and an A2 flash hider installed. Upper receiver has M4 feed ramps, as well as a detachable carry with rear sight. Included complete bolt carrier group has a matte black phosphate finish, is chrome lined and is magnetic particle inspected.